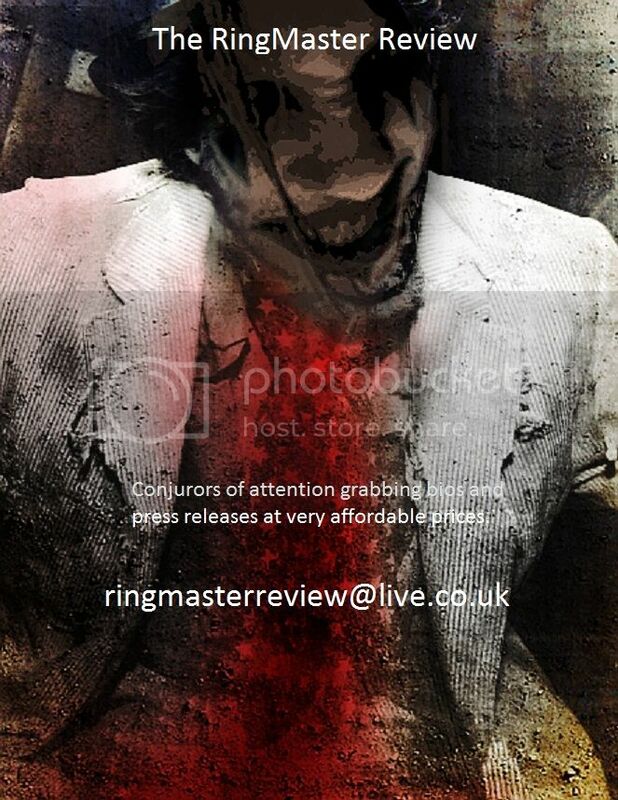 Hi Morok and welcome to The Ringmaster Review, thank you for sharing time with us. Firstly can you give us some background to Bog[~]Morok at the very beginning, the spark and intention of the band at its start? Ok, I started Bog-Morok back in 1997. I just wanted to make fast, loud and aggressive music. Nothing special :). I think many people start to play music thinking that they are able to create something outstanding, something better than what they were listening to. I am not an exception. For a long time it was one-man-band. As a band B-M exists since 2003 when we released our first CD Azoic. Since then we have recorded six albums released on a different Russian labels, played a lots of shows, recorded many remixes for other bands, etc. The band’s style can be described as industrial/nu-metal. The new album Industrialypse released on 21 October on More Hate Productions for Russia and CIS. For the rest of the world it will be sold by Israeli label A&M Releases with support of GlobMetal Promotions. As you said the band eventually expanded to a full line-up, was this a natural progression or a deliberate direction to expand on what you could do as a solo project? I always wanted to play live shows. At first this was the reason to find musicians, but then I found that the writing process is much more interesting and effective together with other members. I am an ordinary bassist and very bad drummer, that’s why I cannot make qualitative music alone. So, I think this was a natural progression to expand the possibility to make music. Besides, we are very good friends and it’s a pleasure for me to spent time with these guys :). Your sound has evolved over the years and your five albums, how do you see its change and evolution over the time? How would you describe your sound right now for newcomers to the band? Well, it’s some kind of mix of dirty and groovy guitars and bass, mechanistic rhythms and cold electronic sounds and backgrounds. This is just like a sound of machine or tool, but machine with a soul and furious emotions. It was many years ago, when I read the book called Sword and Rainbow or something like that. It’s fantasy, as far as I remember. There was a strange character. A troll or may be orc who lived in the bog. In Russian he was named Morok Bolotny (Morok from bog). Quite stupid character I have to say. But I liked him, besides I wanted to play fast and scary black-metal at that time. I decided that it will be great nickname for me and name for the band. But you see, this book was translated into Russian and I didn’t know how his name sounds in English properly. I used my own translation. Morok means ghost or spectre. Bog is bog (by the way, in Russian “Bog” means “God” that’s why some people thought I’ve got megalomania, haha!). So the band’s name means Ghost from bog. Time passed, we started to play different music, but the name is still the same. Maybe ‘cause it is quite unique and strange. I hope so :). You recently released the excellent Industrialypse as you said earlier, an album of twelve inventive and explosive slabs of industrial/nu metal with plenty more flavouring to seduce the imagination. It is one of our favourite introductions to a band, it the first time we came across Bog[~]Morok, in a long time; how long has the album been in the making? Too long! I started to write songs for this album a couple of years ago. Then approximately a year ago we started the record sessions at our studio, but in the middle of recording process I understood that the results did not satisfy me. I don’t how to explain it, but you see, the songs did not sound the way I wanted them to sound. Something was wrong and I didn’t know how to fix it. Then I started absolutely new side-project named Shexna, a strange mix of nu-metal, folk and sludge, together with Bog-Morok’s drummer and guitar-player and singer from well-known Russian band Temnozor. In a week I composed 9 tracks, in the next week we recorded all instruments and two more weeks I spent mixing and mastering these songs. The self-titled album was released by Russian label Sound Age in the beginning of 2013 and received a lot of rave reviews. Only after that we continued to record our distressful Industrialypse and finished it in August 2013. Have you like your sound, evolved and changed how you approach recording your music and working in the studio which made a big difference and help in creating Industrialypse. You know, I am the maximalist and that’s why I never satisfied with the result. But I know how to find a compromise with myself. Otherwise, you can go crazy trying to achieve a perfect result :). The title is a provocative word sparking the imagination to sculpt thoughts of an apocalyptic expanse bred from an industrial toxicity; what was your thoughts behind the name and does it represent a theme for the album as a whole? It is a combination of two words: industrial and apocalypse. You see, we live in quite a big industrial city, Rybinsk, where there are a lot of factories and most of the people work there. Every day I see crowds moving to their working place and back. They are just like zombies: no hope, no future and no past. Eat, work, sleep, die… I think that industrial apocalypse is already happened for them. That’s why there weren’t any doubts it will be the title of the album when I wrote this song. But I can’t say that it’s refers to the album as a whole. You see, there are so many things to sing about. I think I’ll never be able to write a conceptual album :). You just described Rybinsk with its factories and industrial plants etc., has this setting made a specific impact on not only the lyrical content of the album but your music in general? My parents are teachers, I am a lawyer, but when I was a child I always drew factories and smokestacks and dreamt to work on a plant :). Thank God my dream has not come true, but when I grew older I started visiting different abandoned factories and other industrial objects (there are a lot of them after the notorious Perestroyka). I still love it and when I started to listen to music I was so happy to discover such bands as Die Krupps, FLA, VAC, Fear Factory, Steril etc. Their music was like a soundtrack of my dreams and visions. So there’s no surprising that I started to make industrial metal :). How does the song writing process work within Bog[~]Morok and has that changed in a large way since those early days of the band? The main part of music and lyrics is written by me. It has not changed since early days. But you see I play music with very good musicians. When I bring a new song they can change whatever they want. I trust them. In most difficult cases we work all together on a song looking for best option or may be compromise. Really, I am the lucky one these people are play music together with me :). Do you enter the studio with songs completed or allow them to evolve further as you start to record them? We’re recording songs in our own studio and there’s no need for the long training before record session and rush while recording music. May be that’s why we work so slow :). Anyway, we may write song, record it completely and then throw away ‘cause it doesn’t suit us. We can afford it. Is there a particular part or aspect of Industrialypse which gives you the strongest intensity of pleasure? I love this album entirely, but today my favourite one is Bloodsucker J. This song is outstanding ‘cause it consists of only one note A, it’s true, there are no any other notes except A :). The guitarist and bassist can drink beer while playing this song, ‘cause the left hand is free. I love this song today. May be because I’m in a good mood, you see, I always listen to most heavy songs when I’m in a good mood:). I am sure like us you feel it is time for the world to wake up to Bog[~]Morok, what have you done his time around and put behind the album to try and make that happen? We signed a contract with GlobMetal Promotion. They do their job very well spreading our music all over the world. As for us, we are playing live shows, answering the questions, communicating with people and many other things to please our old fans and to find new ones. Are you planning to promote the album in live shows or tours? What comes next for Bog[~]Morok? I think it will be live shows, some videos and writing of new songs. Yes, we will start to write new songs rather soon. I have some ideas but nothing definite still. All I know the next album will be more insane and outside borders and genres. How about the band member’s other projects outside of the band, anything we should be watching out for? Oh yeah. Our drummer plays in very interesting black/death metal band Iconoclast. Also all members of Bog-Morok involved in our side project Shexna. And of course, I’d like to present our new band Morguenstern. This is the band where I play the guitar and the vocalist is my sister Morgana. We play old school gothic metal, sometimes horror punk. The music is similar to soundtracks from horror movies of the 80’s J. The debut album Sepulchral Burden will be released by Israeli label A&M on 15th January 2014. Check it out! Thank you again for talking with us, would you like to leave any final words for the readers? Take care of yourselves and don’t forget to listen to Bog-Morok! Thank you for your interest in our music! Not just going for the jugular but ripping it out and violating it like a whirling dervish, Finnish thrashers Nuclear Omnicide uncages their new EP Bringers Of Disease. Six tracks of unbridled and rapacious old school thrash metal which rampages with a speed and voraciousness which cannot be denied, the release is an uncompromising assault on the senses easily giving healthy satisfaction whilst sparking an eager appetite for its antagonistic riot. Consisting of bassist/vocalist Benny Raivio, guitarists Igi Ignatius and Kappe Koutonen, and drummer Alex Anttila, the 2010 formed Kirkkonummi quartet first made their mark with the Unleash Yourself EP of 2012, though it was debut album The Presence Of Evil in March of last year which brought the band to wider attention. Forging a rich death metal essence to their thrash aggression the band now has Bringers Of Disease poised to leap at the world on January 3rd via Violent Journey Records, an EP which gives the band’s sound a boost of raging adrenaline and intensive weight. There is nothing particularly new within the release and sound of the band, it drawing on well-trod genre toxicity and anthemic potency but equally it has a presence and contagion which is quite irresistible. Opener We Came to Thrash! says it all for song and release, the track careering through the ear with riffs breaking sinew and cartilage whilst rhythms splinter bone under the infectious grooving and anthemic group vocal calls. Just exceeding one minute in length the song is the perfect introduction and indication of what is to come and what to expect from the EP, expectations soon rabidly fed by the next up Curse of the Undead. Rhythms venomously tumble down upon the senses within a scathing blaze of fiery and predacious riffery, the start instantly magnetic and raising a hunger in the passions which is reinforced by the savage progress of the track. The vocals of Raivio spread the lyrical poison with a raw growling lilt as raucous and merciless as the sounds around him, it all adding to a thrash assault which may not be original but knows how to utilise existing invention to its full potential and power. Ruler with the Iron Fist stirs up the imagination with a tempest of imaginative endeavour and sonic twisting. Not as dramatically forceful as its predecessors but with a similarly intensive presence littered with melody crafted grooves and shifting changes of gait and enterprise, the track is an outstanding encounter taking the EP to another level alone. The guitar teasing and sculpting of Ignatius and Koutonen merge cute adventure with brutal riffery across the track whilst the rhythmic side of the band punish and coax throughout with an equally compelling temptation. The opening slow dawning entrance of Institution (Execution) offers a doom clad bait which wraps its lingering suasion around the imagination before from within its dark heavy breath riffs spark into life and spear the air with fiery infectiousness alongside crisp rhythmic provocation. Once the vocals start their scarring squall the music kicks up a gear in pace and venom to score and ignite the senses all over again, the track like the one just before forging a presence which feeds and treats the instinctive thrasher in us all. Both Merciless Butcher and Bringer Of Disease bring the EP to a pleasing end, the first immediately recruiting feet and neck muscles with its vicious chugging before exploding into an even more violent fury of riffs and rhythms, a Municipal Waste like element feeling its way through certainly the vocal and punkish essences within the maelstrom. Its successor is simply ravenous thrash at its nasty merciless best, every aspect gnawing upon and stirring up senses and passions. As mentioned you will not find anything brand new on Bringers Of Disease but for thrilling use of existing invention and unbridled enjoyment which makes you overlook that lack of originality, Nuclear Omnicide gets the job done with skill and ease. The EP is a great way to set thrash metal on its way in 2014 and a release easy to be drawn back to time and time again.